Size of this preview: 763 × 600 pixels. Other resolutions: 305 × 240 pixels | 837 × 658 pixels. 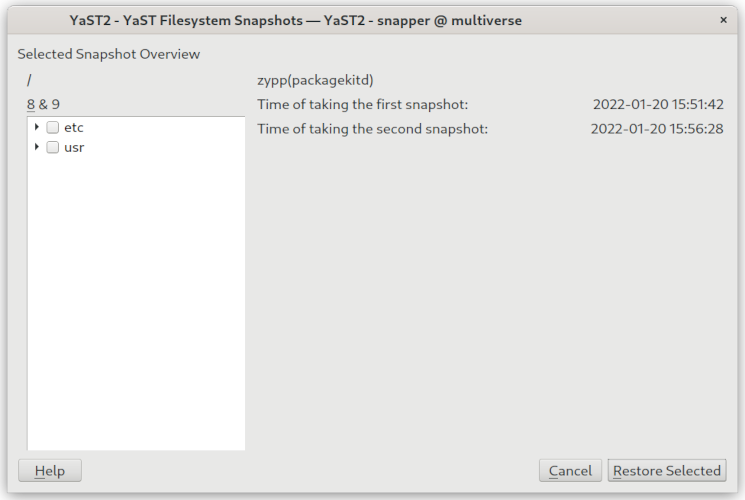 current 11:19, 22 November 2011 837 × 658 (154 KB) Aschnell (talk | contribs) Screenshot of YaST snapper. This page was last modified on 22 November 2011, at 11:19.